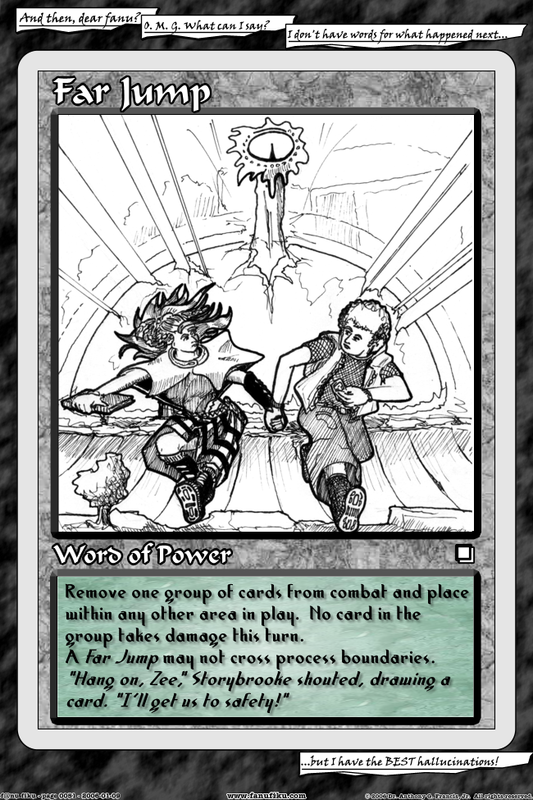 Far Jump is often hailed as an example of a "broken" card. emptied stronghold in the middle of their own combat phase! power of a Teleport with none of the limitations or costs. This led, of course, to the usual debate. Some claimed the card should be banned from tournament play. Magic the Gathering updated Dungeons and Dragons. -April Olive, Game/Play Blog, April 23, 2024.